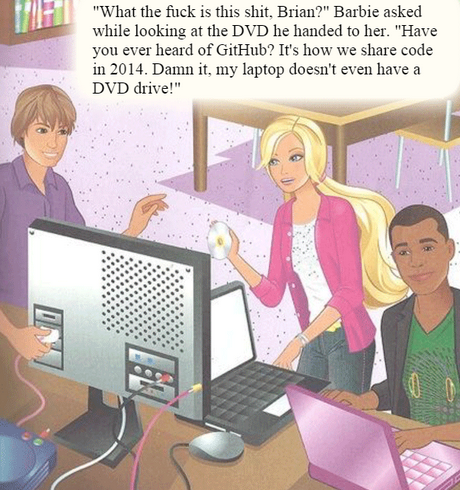 Then, the internet exploded with righteous feminist fury and everywhere from niche tech sites to major news outlets covered the story. 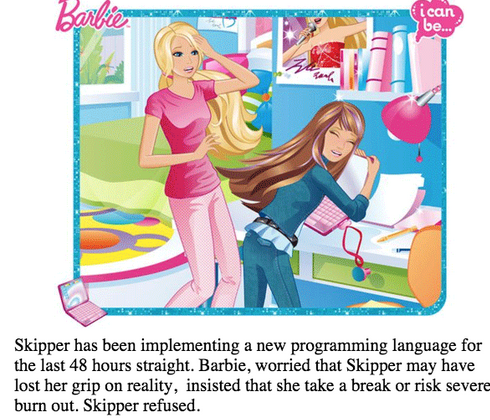 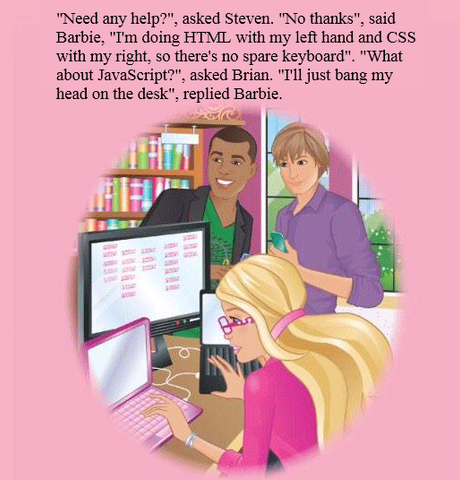 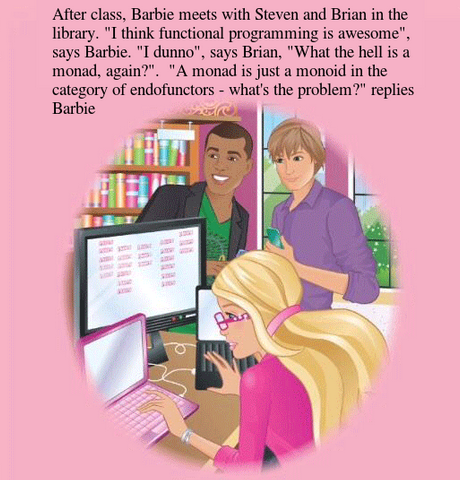 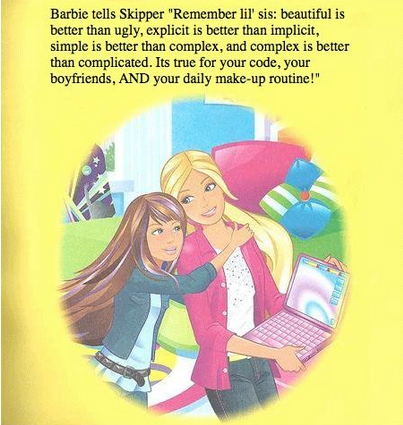 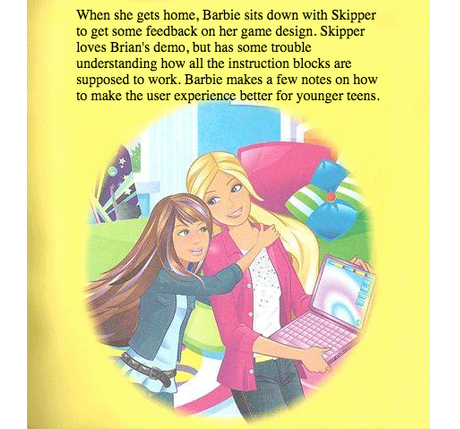 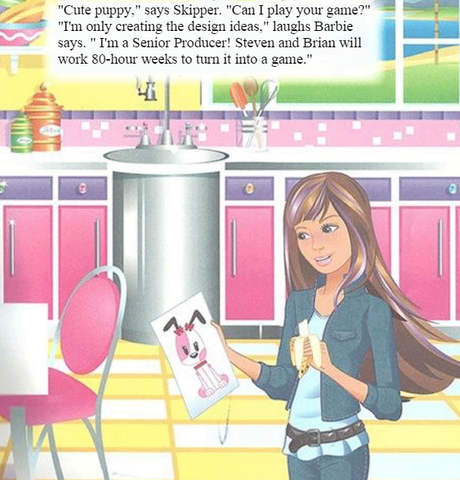 Next, computer engineer Kathleen Tuite created a web app called Feminist Hacker Barbie so people with actual technical knowledge could remix the book to make it more feminist (and accurate), and Twitter users had a field day with the #FeministHackerBarbie hashtag as a result. 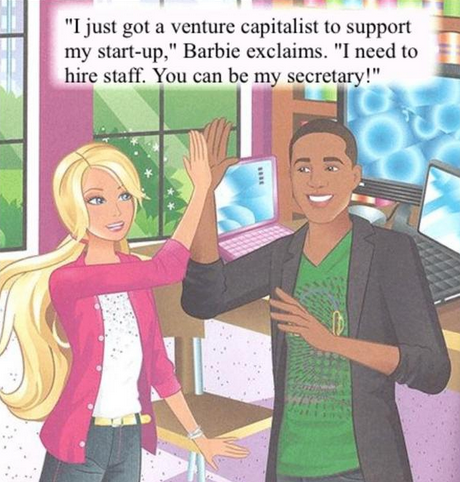 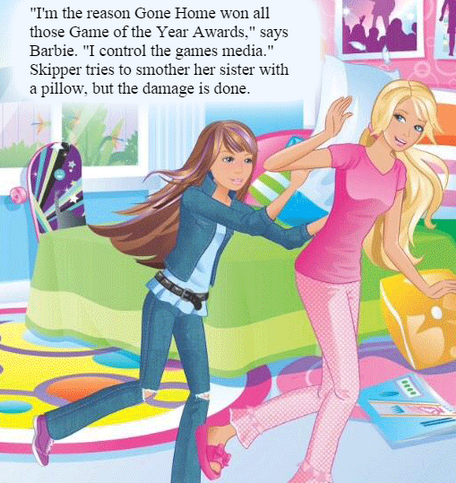 Mattel, the company behind Barbie and her book have now apologised for this title’s utter uselessness and pulled it from sale. 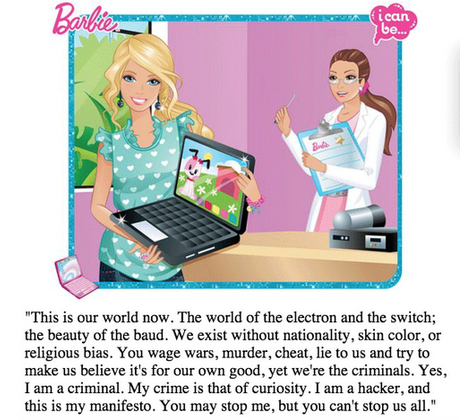 They say, ‘All Barbie titles moving forward will be written to inspire girl’s imaginations and portray an empowered Barbie character.’ If that turns out not to be the case, we’ll see you on Twitter.